Saudi Arabia says it is ready to negotiate better relations with its longtime regional rival, invites Iranian Foreign Minister to Riyadh. Saudi Arabia is ready to negotiate better relations with regional rival Iran, the Kingdom’s Foreign Minister Prince Saud al-Faisal told reporters in Riyadh on Tuesday, according to AFP. "Iran is a neighbor, we have relations with them and we will negotiate with them," the Saudi minister said. "We will talk with them in the hope that if there are any differences, they will be settled to the satisfaction of both countries," he was quoted as having told reporters. "Our hope is that Iran becomes part of the effort to make the region as safe and as prosperous as possible, and not part of the problem of the insecurity of the region," said al-Faisal. 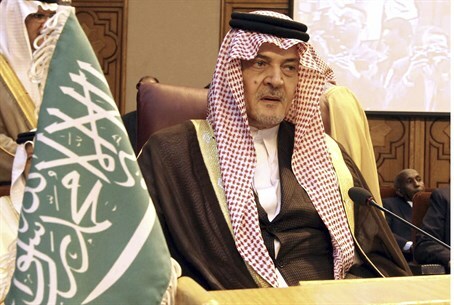 Al-Faisal said that his Iranian counterpart Mohammad Javad Zarif had been invited to visit the kingdom. "Any time that he sees fit to come, we are willing to receive him," he said, according to AFP. The announcement may come as a surprise, as Shiite Muslim Iran and Sunni Saudi Arabia have been deeply divided for years over a raft of regional issues, particularly the conflict in Syria, in which Tehran has backed the Damascus government and Riyadh has been a leading supporter of the rebels. Saudi Arabia has been particularly critical of the recent deal reached between Iran and six world powers over Tehran’s nuclear program. A senior advisor to the Saudi royal family said after the deal was signed that his country was deceived by the United States in the agreements and will pursue an independent foreign policy in response. President Barack Obama, on a visit to Riyadh in March, promised Saudi King Abdullah that the United States would not accept a “bad deal” with Iran. Iran, for its part, has accused the Saudis of conspiring with Israel against it. These accusations came in a series of Iranian media reports claiming, among other things, that the head of the Saudi intelligence service met with several senior Israeli security officials and that a Saudi Arabian delegation flew to Israel last December for meetings with high-ranking Israeli officials, including Prime Minister Binyamin Netanyahu. An earlier report said that Israel and Saudi Arabia had teamed up to launch a virus against Iran’s nuclear program. Faisal's remarks on Iran came as U.S. Defense Secretary Chuck Hagel was in Saudi Arabia on the first leg of a regional tour focusing on Iran's nuclear program and the war in Syria. Hagel will also visit Jordan and Israel during the tour.